1 ghost towns | This Blog Rules | Why go elsewhere? If you have never been to an authentic ghost town then you are missing a treat. 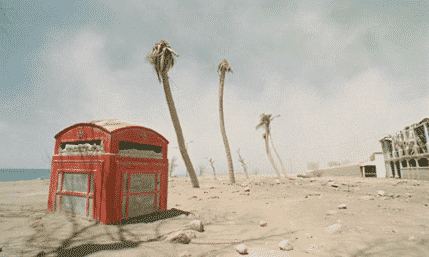 These are weird, spooky places that you are unlikely to ever forget about after visiting. The following are 5 amazing towns or cities that were once thriving but where you will now find absolutely no residents living in the houses that still stand. This Ukrainian city is probably the most famous ghost town on the planet, and possibly one of the most dangerous to hang around in as well. Around 50,000 people once lived and worked in Pripyat before the small, trifling matter of the freaking Chernobyl nuclear plant disaster. It was quickly evacuated and recent images of the city show an eerie, deserted place where even the Ferris wheel looks creepy. Having said that, I always find Ferris wheels a bit creepy anyway. 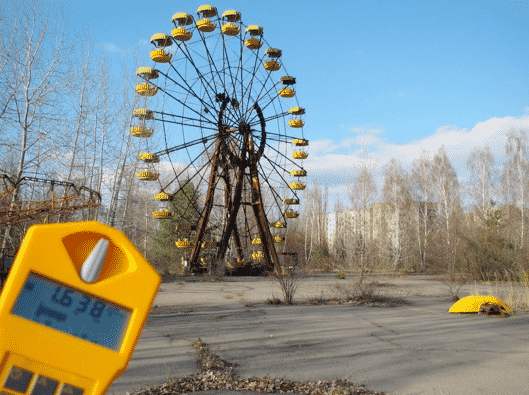 Pripyat was abandoned by its residents in 1986 but the radiation levels are now considered low enough for it to be visited by some brave tourists. Craco in Italy was once home to a couple of thousand people. However, the spectacularly situated town offered poor farming possibilities and was ravaged by a series of natural disasters before being finally abandoned in 1980. 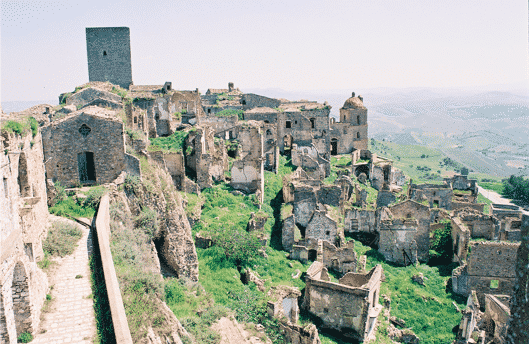 The weird and other worldly setting of Craco means that it has been used in a number of films. Hey, maybe you saw Judas meet a nasty end here once. You can´t say he didn’t deserve it. You might never have heard of Kolmanskop before now but it was once a rich, impressive town in the desert in Namibia. Why would you build an impressive town in the desert? Diamonds, of course. Built on the back of the diamonds discovered nearby, the elegant German style constructions here now lie empty and neglected. 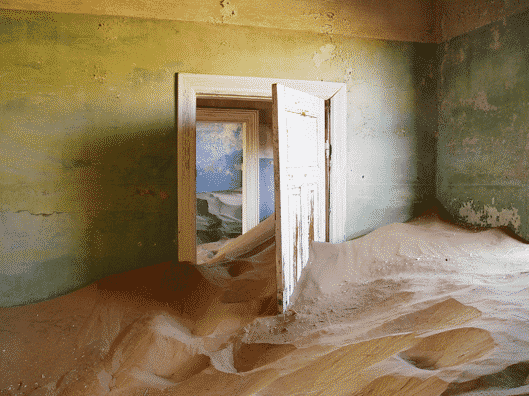 You can visit it as a tourist if you want to see how much drifting sand is needed to fill a house in the Namib Desert that has been deserted for 60 years. If you can´t be bothered going then the answer is, “quite a blooming lot”. This is another desert ghost town with an interesting past. 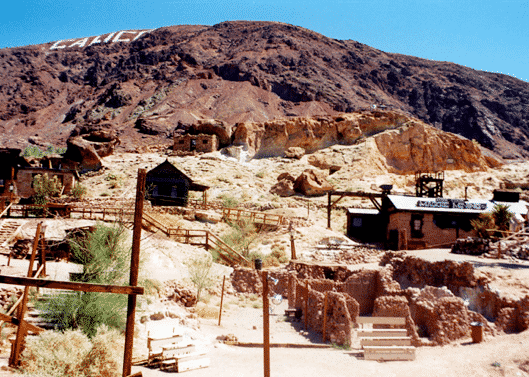 Arnold Schwarzenegger called this place California´s Silver Rush Ghost Town and you don´t want to argue with old Arnie, do you? Calico in the Mojave Desert started life in 1881 and the giant letters spelling out its name on the hills behind it make it easy to find even today. Most of the buildings have been restored to their former glory in recent times. Maybe if someone else finds more silver here it will be a booming place all over again. There are few capital cities in the world that have been abandoned over the centuries. Then again, few of them were completely buried under a sustained attack from an angry volcano. The peaceful island of Montserrat in the Caribbean is famous for hosting the best St Patrick´s Day celebrations outside of Ireland. However, if you want to enjoy a pint of Guinness this year in Plymouth you´ll need to find it first of all. It was lost to the world in 1997 under a mountain of volcanic material. Interestingly (if you find random facts about ghost towns in the Caribbean interesting), Plymouth is still the de jure capital of Montserrat.